Sally Letz, a resident at Menorah Park Nursing Home and formerly of New York City, died Saturday morning at Menorah Park at the age of 97. Sally was born in Poland in 1912, and her family immigrated to the United States when she was a young girl. Sally was a career woman who managed an office for a clothing manufacturer for many years. She also was an avid sportswoman who played basketball in high school in the 1920s. She loved golf and received tremendous enjoyment from the sport. Sally was also a fine bridge player who for many years competed in tournaments in the New York City area. She also loved to travel, often combining golf and sightseeing in a warm climate during the winter months. She was predeceased by her brothers, Al and Joe; her sister, Celia; and her sister, Frances, with whom she was especially close. She is survived by her nephews, Dr. David Simon of DeWitt and his wife, Barbara, Robert Simon of Clinton and his wife, Joy, Dr. Ira Litzenblatt of Fort Lauderdale, Florida, and his wife Naomi; her niece, Edith Poretsky of Roslyn, New York; her niece, Enid Jacoboff of Queens, NY; as well as her grandnieces and -nephews and their children. Sally was devoted to the members of her extended family and brought tremendous joy into their lives. 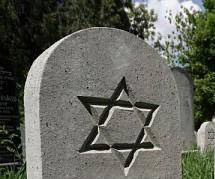 Graveside services will be 3 p.m. Monday, November 9, in Adath Yeshurun Cemetery. Contributions may be made to Temple Adath Yeshurun or the Foundation of Menorah Park.